We’ve seen top prospects and number one draft picks dubbed “The Next Big Thing” fizzle out of the NHL in a hurry and never fully live up to expectations. That doesn’t appear to be the case this year. So far this year’s rookie class is something special and it’s painting a bright future for the league. Paving the way for this year’s rookie class are the top two picks from last year’s draft: Auston Matthews and Patrik Laine. Drafted as the number one and number two picks in the 2016 NHL Draft, respectively they’re both unbelievably skilled and are putting on quite a show. Matthews and Laine are the first top two picks to each score 30 goals in their rookie campaign since the inception of the draft. Throw in fellow rookie Mitch Marner and we may see another achievement that hasn’t happened in 25 years: three rookies with 20-goal, 70-point campaigns. To put that into perspective, we’ve only had six players accomplish that feat since ‘95 and it’s some pretty good company: Alex Ovechkin, Sidney Crosby, Evgeni Malkin, Paul Stastny, Patrick Kane, and Artemi Panarin. With no signs of either of them slowing down, the race for the Calder trophy will be interesting and may be reminiscent of the Ovechkin/Crosby race from 05-06. But let’s put aside awards for a second and get to the million dollar question: Would You Rather Start a Franchise with Auston Matthews or Patrik Laine? Laine, the next Finnish Flash, is a one-man highlight reel. …but man can this kid fire the puck! 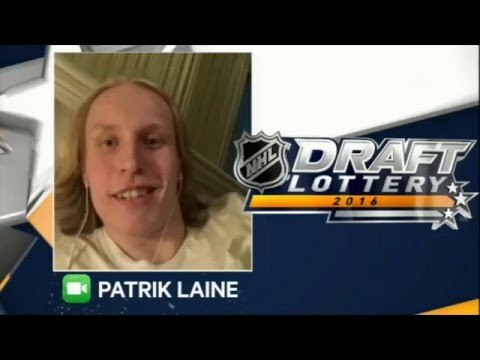 At 6’5”, 210 pounds, Laine has a Mario Lemieux build and hasn’t even fully grown into his frame yet. It’s nice to have a star with such size as he’ll likely be durable throughout his career…except when he comes across Jake McCabe. 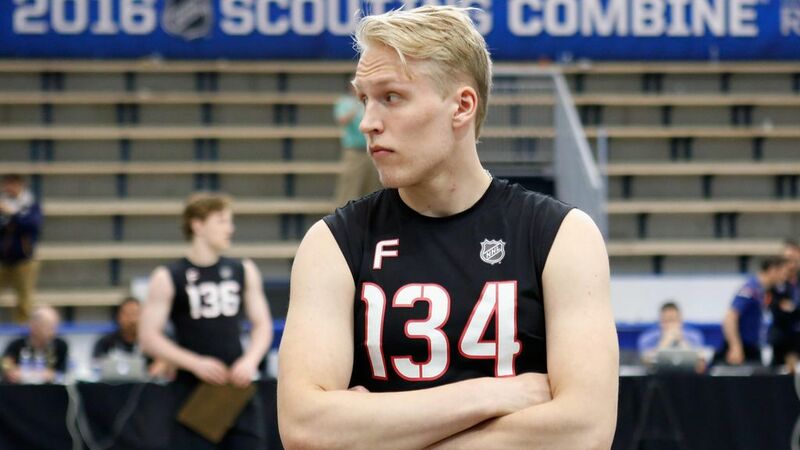 Also, Laine has pro-level experience playing in the Finnish Elite League. A natural scorer, Laine’s elite wrist shot, quick release and powerful one-timer from the top of the circle make him a constant threat on the ice…especially on the power play. Any franchise would be lucky to have this thriving winger to build their team around. 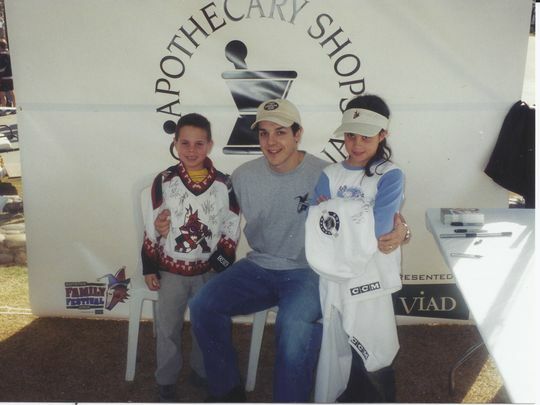 Auston’s family moved to Scottsdale, Arizona when he was an infant. Matthews learned to play hockey in Arizona, developing an interest watching the Phoenix (now Arizona) Coyotes play. Like Laine, Matthews played professionally with the ZSC Lions of the Swiss National League A before his NHL debut. 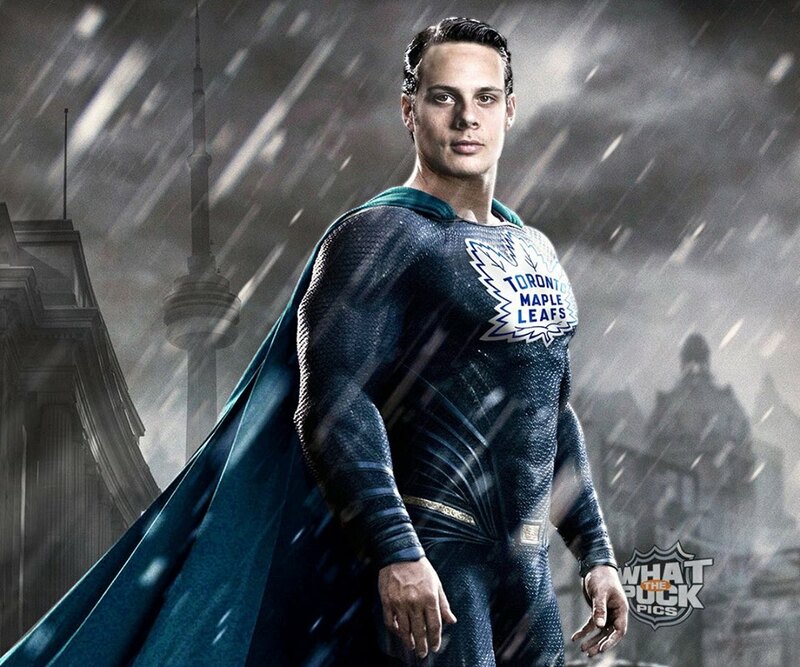 Taken first overall in the 2016 NHL draft, many Leafs fans are hoping Matthews will save their franchise from decades of despair. Matthews has unbelievable hands and world class skills reminiscent of fellow American prodigy Patrick Kane. At 6’3″ and 216 pounds, Auston has many of his opponents saying, “You’re a large American!” (Black Sheep). Unbelievably, Auston scored 4 goals in his NHL debut. Crazy! He showed his world class ability for team North America when he put up a point per game in the World Cup of Hockey. No one can deny that Auston Matthews is a generational talent who is already developing into one of the league’s best centers. So time for your answer? Who would you rather start a franchise with? Comment below telling us who and why. One Response to Would You Rather Start A Franchise with Laine or Matthews? Matthews, although it was a hard decision. Euther player would ve a freat choice to build around, but I just like Auston a little better. He reminds me of a larger Patrick Kane, and as a Blackhawks fan, you cant argue with that logic.